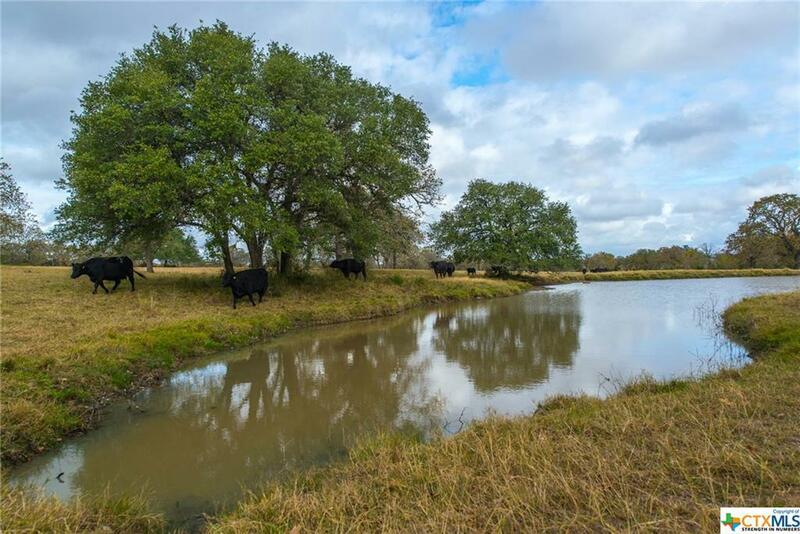 The picturesque 169.78 acre Nickel Creek Ranch is a nestled in the rolling hills of Gonzales County and is the ideal place for anyone looking for a move in ready ranch. Features include seven ponds, a wet weather creek and scenic lime stone hilltop surrounded by almost 13 acres of high fence. 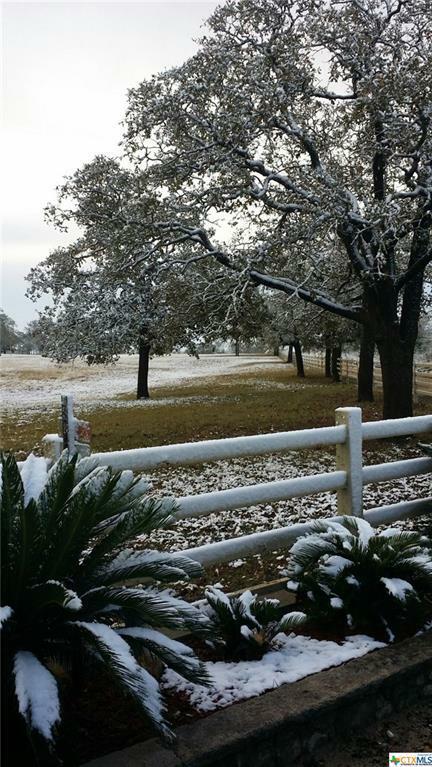 Hundreds of mature oak trees are scattered throughout the property. The ranch features a 2BD/1BA main house with a detached apartment space. There’s an additional bardominium house with a game room and an in ground pool. 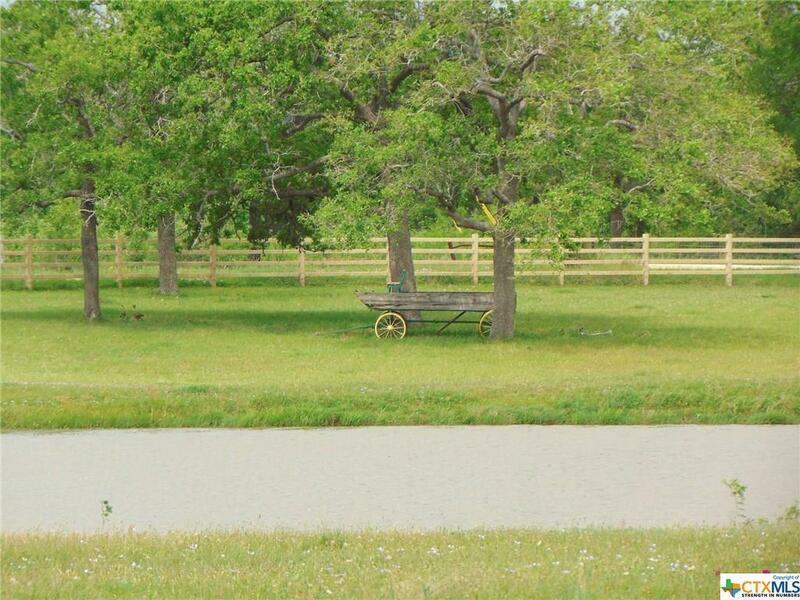 The property has an equipment barn, with living quarters, as well as a good sized feed & tack room. An approximately 2,400sqft steel workshop offers ample room for additional tools and heavy equipment storage. 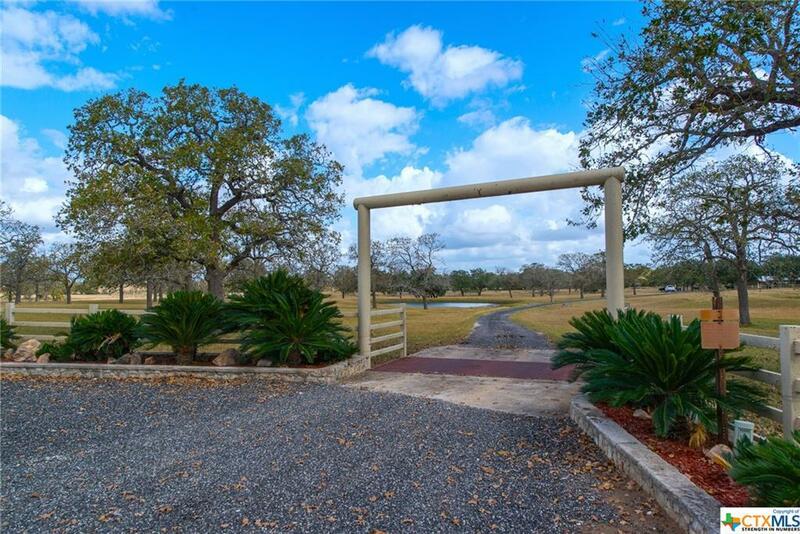 For entertaining the ranch has a large out door fireplace perfect for get togethers or enjoying the quite country nights by the fire. Other features include two livestock working areas, cross fencing, perimeter net wire fencing improved grasses. Minerals are negotiable.